It is always the best feeling to be aware and assured about the safety and efficiency of the office where you are spending a large portion of your day. How the water is managed is among one of the significant factors of a safe commercial space. Water is the most essential component of human life and it is a good feeling that you know that the water you are using is safe to use. It is also equally important that the wastewater should leave the premises safely and completely without any traces left to ensure that the building environment is secure and maintaining a health standard. Therefore, a professional commercial plumbing service is required to properly manage the water supply and utilization as well as waste management. In the field of plumbing marketing including the repair and service, you can find different sorts of plumbers. The plumber can either be a residential plumber and commercial plumber. Commercial plumbers are the expert who is generally taking large projects which include the installation of the plumbing system where the usage is of the heavy type includes places like hospitals and/or schools and offices. These plumbers are equally trained to handle advanced plumbing equipment; the equipment is more advanced technology and is big in size also. On the other hand, the other type of plumber i.e. residential plumbing expert, which are mainly taking projects of installing new plumbing systems and upgraded plumbing additions for residential buildings. Service and repair plumbing experts are mostly focusing on solving problems that may arise in the home. They are expert in identifying the problem and take appropriate measure to resolve the issue in an effective way. Commercial plumbing services incorporate the maintenance and installation of large-scale systems for water supply as well as waste removal services for all types of industries, businesses and large building. 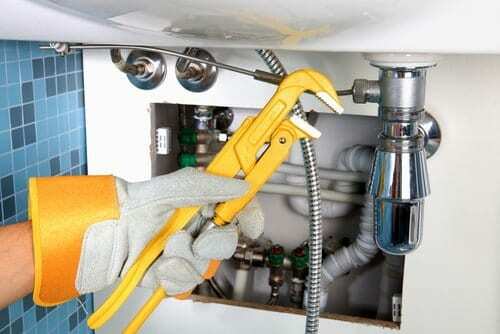 An expert office plumber can identify all the required plumbing elements need to use in the facilities like installation of new plumbing pattern or pipe repair or cleaning and maintenance of clogged drains and sewer systems. One of the benefits of getting them to do the work is that you can always depend on them to get the job done in a highly professional manner. These plumbers are all trained and engaged by these agencies and it is very convenient to engage them as they have all the technical know-how as well as the modern equipment for clearing blocked drains. Remember that you need to get the background checks done before you actually engage them. The plumbing service includes many services like the installation of various accessories both in the bathrooms and kitchen which includes the sinks, bathtubs, toilets, pipelines, and in the kitchen, they are trained in installing the dishwasher too. 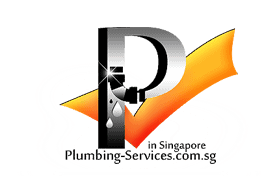 The plumbing services can also be engaged online for which you can visit their website and book the plumbers. There are many online plumbing services which you can make use of when in need of an emergency plumber and they are similar to the ones located locally in your area. The online services are provided to you when you fill in their specified form in which you express your need and the need this taken care of when the agency sends in their representative who is well trained to do the job you want them to do. Besides plumbing, these agencies also have trained professionals to take care of the hot water repairs as they are trained to understand the working of the hot water system. In case your hot water system has conked off the agencies provide technicians who are highly experienced in providing hot water service. Whatever be your need, the plumbing agencies are well trained to get your plumbing system in order and get them working for your convenience. Whether it is a blocked drain or a blocked toilet you are sure to get the right person from these agencies. Commercial plumbing services are focusing on much emergency work for the problems like leakage of water which hinders the business needs to take care of immediately without any delay. When an expert reaches your premises, he starts its work by accessing all the problems and provides you with a quotation about the capital that you need to invest in the repair work. Hot water plumbing is a significant part of commercialized plumbing services. It involves repair of the broken heating systems which is needed to ensure that the hot water supply should run uninterrupted. Businesses and commercial space which needs to utilize large devices needed regular repair and maintenance. 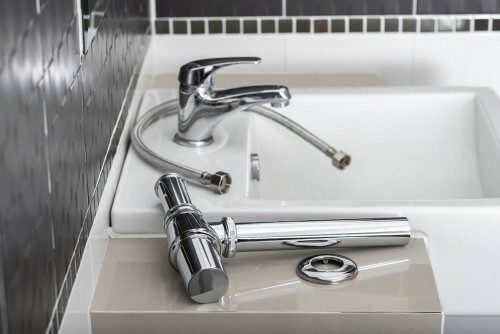 The task of the commercial plumbing expert is to make sure that the water supply system is properly functioned and the drainage system is also properly maintained. When the expert needs to install the devices for the supply of water and drainage and sewer system pipes, he digs up the trenches and spread the pipes. Then the plumber connects the plumbing system with local water and drainage system. While installing the pipes, the plumbing experts make sure that the water supply system is placed on a far place from being contaminated due to any issues. Once the outdoor plumbing pattern is placed as per the layout, then indoor plumbing for the building is processed. The indoor plumbing system of the building might involve the installation of kitchen, water fountains, bathroom sinks, showers, and toilet and fire sprinklers. Another significant part of commercial plumbing is the maintenance of the water supply and drainage and sewer systems of the commercial spaces which involve the heating systems. A plumber will make sure that the sewer system in the building has to face the scenario like clogged due to food. They make sure that the system will be clear and free from food and grease material in order to work effectively. Some of the factors that you should be concerned with include keeping the contact details of at the some of the best names in plumbing and keeping it at hand as you never know when you might need them.